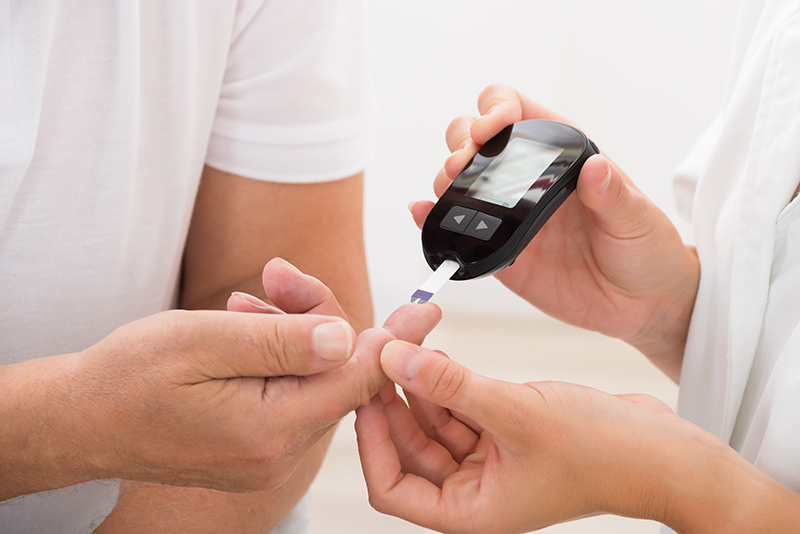 Diabetes refers to a group of diseases that affect how your body uses blood sugar (glucose). Glucose is important to your health because it’s an essential source of energy for the cells that make up your muscles and tissues. Diabetes is due to either the pancreas not producing enough insulin or the cells of the body not responding properly to the insulin produced. Prevention and treatment involve a healthy diet, physical exercise, not using tobacco and being a normal body weight. Blood pressure control and proper foot care are also important for people with the disease. Massage has been recommended for diabetes for nearly 100 years. Massage at injection sites may increase insulin absorption. In addition, uncontrolled studies suggest that massage may have a positive effect on blood glucose levels and symptoms of diabetes that effects the nerves including numbness. Learn more about diabetes by visiting the Mayo Clinic or the Canadian Diabetes Association.